REGINA — Canada's minister for public safety says right-wing, white supremacists and neo-Nazi groups are an increasing concern and threat to Canadians. 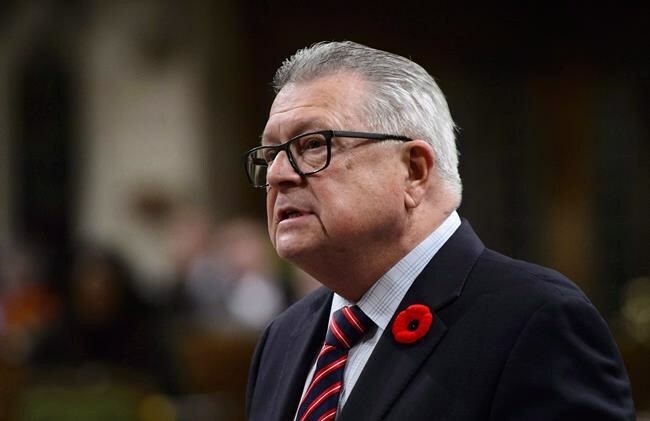 "The van attack along Yonge Street in Toronto earlier last year had those kinds of roots," Goodale said Tuesday after a speech on national security at the University of Regina. "They may have behaved themselves as singular individuals doing very evil deeds but they were inspired by something and largely that relates back to what they saw on the internet," Goodale said. Goodale said Daesh and al-Qaida aren't the only sources of dangerous, extremist violence and it can come from any type of fanaticism. He said the federal government is working with internet providers to eliminate the problem and so far there's been "pretty decent co-operation." Internet providers have an obligation to make sure they don't provide a platform for spreading fear and hate, Goodale said. "They don't want to have a reputation that they are purveyors of that kind of nasty stuff," he said. "But they have to do better."